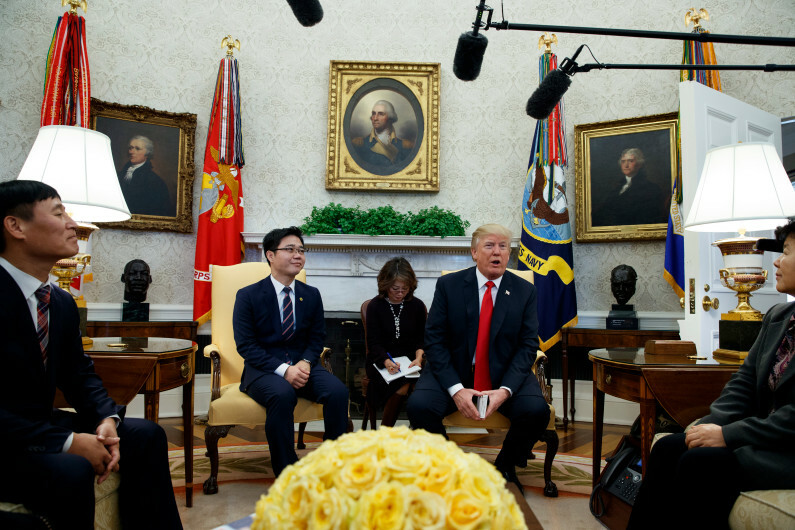 This month, a group of North Korean defectors met with President Trump to discuss human rights in the country. Recent BCFR speaker JUNG Gwangil participated in the briefing, along with his interpreter, Henry Song. Mr. Jung is the founder of No Chain, an organization working to deliver outside information to the citizens of North Korea. You may read a transcript of the meeting HERE. The meeting was originally reported by The Washington Post.